Simon's Auto Body . : Services | Painting :. Your car with new skin. 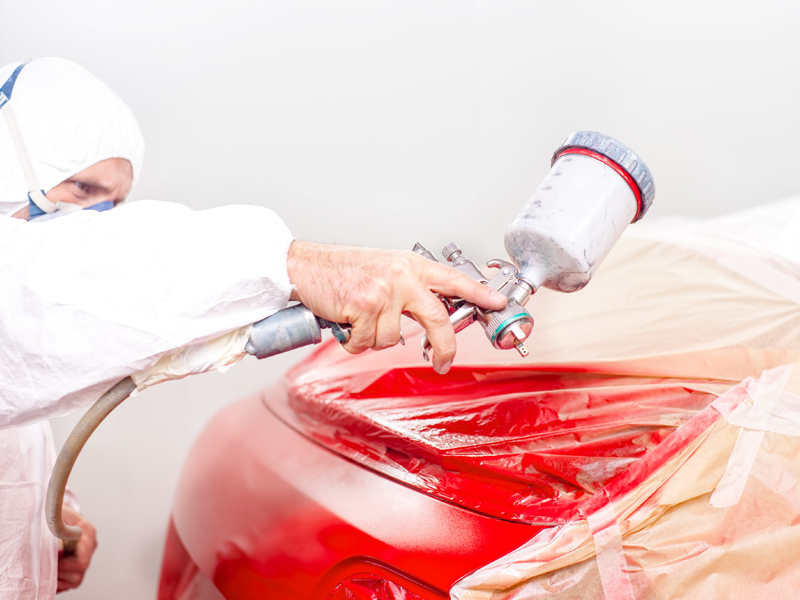 Painting is one of the most delicate steps in the process of recovering a car. It requires qualified professionals to complete the job. Simon’s Auto Body uses our computerized correspondence system of colors to match the new color with your vehicle’s. While most shops outsource this type of work, Simon’s Auto Body has it’s own “laboratory”. The paint process takes place in our paint lab. Our paint booth, paint room and prep area have restricted access to our painter and prep team. Before painting your vehicle there is a cleaning and treatment process necessary to guarantee a factory match paint job with lifetime warranty. We are a shop that offers complete repair and painting services. Your vehicle is completely restored, regardless if the accident was either simple or severe to the extension of damaging your vehicles structure. Our licensed shop offers guarantees for all the completed work done in a timely manner to have your vehicle back on the roads, as soon as possible. You can’t predict when your car will leave you stranded on the road or when an accident will occur. Always remember that Simon’s Auto Body is the best solution when you find yourself in a situation like this. Of course you love your car, but you also like to keep your daily schedule and fulfill your commitments, right? So while your car is being restored, a rental car can be a great advantage! These minor damages that occurred from daily use to your vehicle can result in extra costs. Come to Simon's Auto Body, where we check your bumper car from front to back, taking care of all the small details. If you received a letter requisition a pre-inspection of your vehicle during your insurance renewal, rest assured because it’s a procedure that has become more common each year. Did you know that when your lease agreement expires, or if you choose to change your car, an inspector has a check list ready to check your vehicle? The inspector evaluates broken parts to small scratches and dents that could easily be corrected. Here at Simon's Auto Body we repair all types of windshields, from front to rear in any model of car or truck. Car detailing goes beyond cleaning your car. Detailing is very common in the United States and Europe. Simon's Auto Body offers the best detailing service in the Framingham region, leaving your car with a 0km feeling. We provide pleasure and satisfaction in driving a clean and fresh car.